Home » Blog » Atlas News » 90 minutes from London in a helicopter. How far can you fly? Before we answer the question there are a couple of stipulations we need to set. 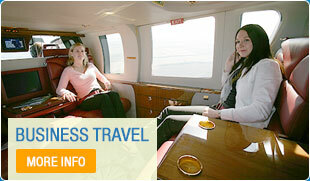 Firstly, you’ll be flying in a luxury twin-engine helicopter. Either a Twin Squirrel or Agusta 109 (above). This is important to know as it is faster that its single engine cousins, carries more fuel, can take you much further and overall a much more comfortable, quieter ride. Secondly, with a helicopter flight you can depart from almost any point in the UK but for the sake of argument, your starting point is London Heliport (Battersea). There is a 90 minute wide arc you can draw across most of Cornwall, Wales, the Midlands and into the north of England. The arc runs from: Plymouth in the far south-west, crosses Liverpool and Manchester in the north-west and ends very close to Hull in the north-east. As a guide, East Anglia is around 45 minutes away and the Isle of Wight 30 minutes. Compared to any other form of travelling this is quick, even quicker than jets as they need airports, whilst your flight can land as close as possible to your destination. The channel islands of Guernsey and Jersey are also within the 90-minute time-frame. Technically within the UK, but you must admit have a continental feel to them and as you will see in the map below. If you continue the arc mentioned above, you’ll cross the English channel into Europe. Always an interesting flight as you have a great view of the shipping lanes and its interesting traffic, plus a closer look at White Cliffs of Dover and approaching coastline. Paris is the preferred destination for most of our clients, you land a few blocks from the Eiffel Tower and a chauffeured transport will quickly take you to your hotel or business meeting. Brussels in Belgium and Rotterdam in the Netherlands also fall within the 90-minute time limit and are used as both business and holiday destinations. We’ve even arranged a surprise trip to Paris for a large party and you can read the story here: Amazing 50th Birthday Surprise Trip To Paris. A helicopter charter isn’t limited to 90 minutes as you can easily refuel and reach anywhere in the UK or Europe, plus you might want to land outside these cities. For example, you could play a round of golf at the next Ryder Cup venue Golf National in Paris. But, if it makes more sense for you to fly by jet, then the Operations Team will suggest that option. The Atlas Operations Team have over 15 years experience planning flights and setting itineraries, please call them if you have any questions. If you need an estimate of flight costs? Use the form below for a guide.